Restofire is a protocol oriented network abstraction layer in swift that is built on top of Alamofire to use services in a declartive way. Elegant web framework for Swift that works on iOS, OS X, and Ubuntu. Server-side Swift. The Perfect library, application server, connectors and example apps. IBM's web framework and server for web services written in Swift. Http server written in Swift with routing handler. A Ruby on Rails inspired Web Framework for Swift that runs on Linux and OS X. A lightweight library for writing HTTP web servers with Swift. HTTP Webserver inspired by Express.js. Swift Web Application framework, supporting both Synchronous and Asynchronous (Futures based) styles. Inspired by Play framework and Express.js. Access Xcode Server API with native Swift objects. Swift HTTP server using the pre-fork worker model. Frank is a DSL for quickly writing web applications in Swift. Super lightweight async HTTP server library in pure Swift. REST HTTP Server written in Swift. Builds REST API from Core Data. A Swift Multiplatform Web and Networking Framework. Evented I/O streams a.k.a. Node.js for Swift. Super lightweight web framework in Swift based on SWSGI. A simple GCD based HTTP client and server, written in 'pure' Swift. GCD based HTTP server for Swift 2. High Performance (nearly)100% Swift Web server supporting dynamic content. A powerful Swift Web Application Server Framework Project. Currently, a very basic proof-of-concept Swift HTTP server that does not require Foundation. Minimal web framework and middleware for Swift. A simple HTTP server written in Swift. * Code Quality Rankings and insights are calculated and provided by Lumnify. They vary from L1 to L5 with "L5" being the highest. Visit our partner's website for more details. Do you think we are missing an alternative of Restofire or a related project? There are no recommendations yet. Be the first to promote Restofire! Have you used Restofire? Share your experience. Write a short recommendation and Restofire, you and your project will be promoted on Awesome Swift. 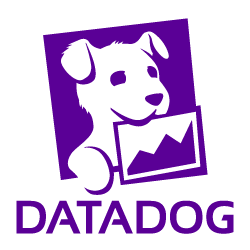 Datadog - Monitor and correlate metrics, request traces, and logs in one platform. Try it free. SaaSHub - The independent software marketplace. Find the best software and alternatives.